No winners will be selected prior to February 10, 2019. On and following that date, the winners of this promotion (the “Promotion”) shall be chosen strictly in the manner provided in the Rules, Terms, & Conditions below. Promotion Overview. The Promotion is free to enter without any purchase, payment, or donation required, to all eligible persons as defined in Section 6. One winner per giveaway will be determined by random drawing from all eligible entries received. How to Enter. Eligible participants may enter the Promotions by using Facebook to “LIKE” SCHEELS’ Facebook Page (@rapidcityscheels) and “COMMENT ON” the post for the Promotion made on the page (@rapidcityscheels) between 2/10/19 to 2/16/19, 2/17/19 to 2/23/19 or 2/24/19 to 3/2/19. Entry does not require purchase, payment, or donation. Eligible participants may only enter the Promotion once. Duplicate entries will be disregarded, and the duplicating participant may be disqualified at SCHEELS’ sole discretion. SCHEELS additionally reserves complete discretion to void any entries which are lewd, harassing, spam, or otherwise do not conform to these Rules, Terms, & Conditions. Participants may be encouraged to share information about the Promotion with their friends and followers via social media, but such action is not required to enter. Number of Winners. One (1) winner will be chosen per promotion timeframe. Each winner will win the following Prize package. Prizes are not transferable or redeemable for cash. No Prize may be wagered, exchanged, or otherwise used to accumulate additional prizes. 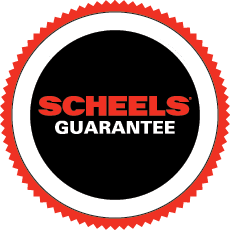 If a winner cannot be contacted, does not claim the prize, or is disqualified, SCHEELS shall determine an alternate winner from the remaining eligible entries. In SCHEELS’ sole discretion, any listed Prize may be substituted for a prize of comparable value.